The holiday season is a fun and festive time of year. From holiday parties to family dinners, the good times and great memories are endless. As you prepare to travel to visit family and friends this holiday season, consider bringing Freshends along for the ride. Individually wrapped and no larger than a credit card, Freshends are easy to carry along so that you can always stay fresh during your travels. 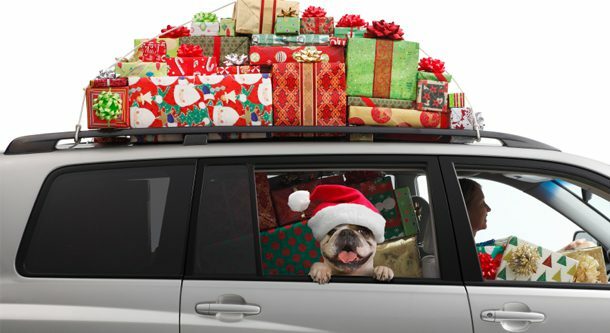 The holiday travel season is the busiest of the year, leaving room for chaotic situations and the occasional mishap. What if a cancelled flight forces you to spend the night at the airport? Both Freshends and Freshstarts can come to your rescue and help you get to your destination feeling clean and refreshed. And the usefulness of these luxurious towelettes doesn’t stop there! Let’s not forget that this is the season of sharing and giving, so why not give the gift of Freshends? Freshends and Freshstarts make wonderful stocking stuffers, especially when paired with other essential beauty items and on-the-go travel amenities. Or, if you’re looking for the perfect hostess gift, wrap a package of Freshends in a stylish wicker basket for your host’s bathroom. Whether they’re tucked away in your pocket, stuffed in a festive stocking or wrapped up as part of a larger gift, Freshends and Freshstarts are guaranteed to bring a little more cheer into your holidays.